I’m sure many of you have come across the hashtag #jollofwars since there is, still to this day, such a serious debate going on since way back when. Many west African countries, tribes, mothers, aunties, nephews, grandfathers (you get the picture) claim to be the masters of this fine creation. 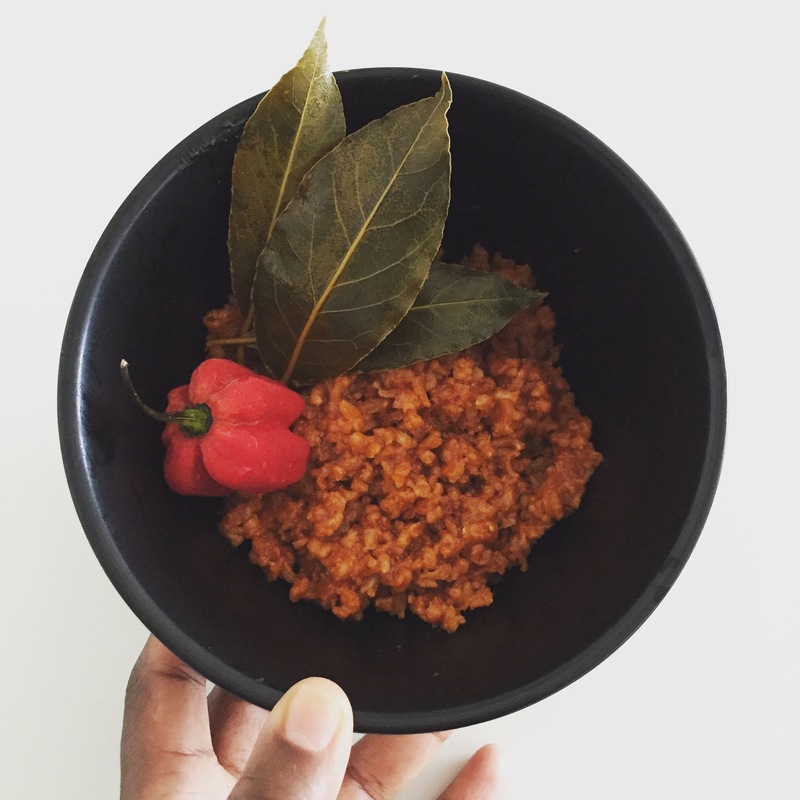 In the present day, March 2018, I had GRM Daily rate mine, categorising this wondrous dish as representing London by way of Sierra Leone in their series of The Best Jollof in London [The Sierra Leone Edition]. SPOILER ALERT: I scored 9.5 out of 10 in case you didn’t already know!!!!!! (fist pump/touch to my Mama). I can maybe cover myself and say that having been taught to cook it by my Liberian/Nigerian/Sierra Leonean mother, I can stand in some sort of neutral territory between other west African countries such as Cameroon, Ghana, Senegal, Ivory Coast, Mali and The Gambia where this is dish is so famous. You’ll notice I/we identify jollof rice as being a dish in itself since, with the right balance of ingredients, this moist and flavoursome dish is often eaten alone. Though to give it that extra oomph our equivalent of a Sunday roast (NB it is served whichever day of the week your belly desires) is teamed with stew. Not just any stew. A BANGING stew. So here’s my high scoring jollof rice for you to make – enjoy! Add all the ingredients to a pan, bar the rice, onto a medium heat and cover with a lid. Bring to the boil and then reduce the heat, allowing it to simmer for a further 15 minutes so the tart flavour of the puree becomes a rich, sweet sauce. Here the base of your jollof is formed. Now add your rice to the sauce and cook for 25 minutes, or until the rice is tender and has absorbed all of the sauce. If the rice is not cooked after 25 minutes, add a little water, little by little until it is – nothing worse than mushy rice or poto poto rice as we would say.